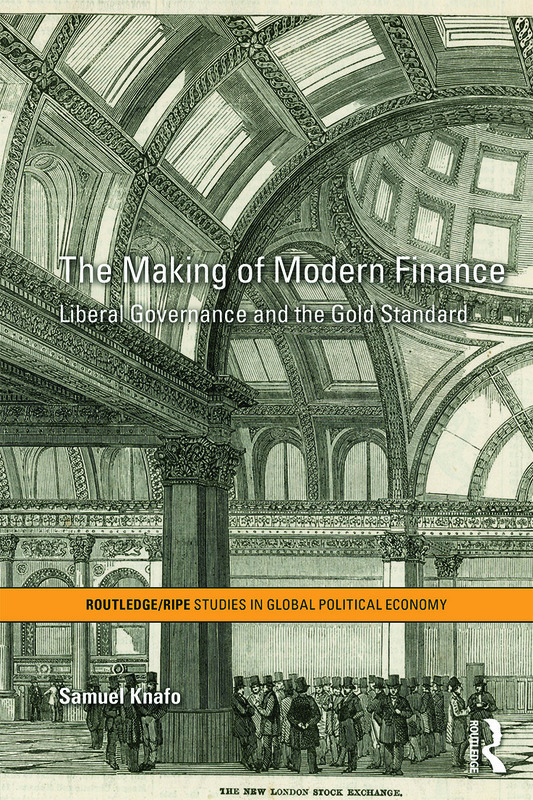 The Making of Modern Finance is a path-breaking study of the construction of liberal financial governance and demonstrates how complex forms of control by the state profoundly transformed the nature of modern finance. Challenging dominant theoretical conceptions of liberal financial governance in international political economy, this book argues that liberal economic governance is too often perceived as a passive form of governance. It situates the gold standard in relation to practices of monetary governance which preceded it, tracing the evolution of monetary governance from the late middle Ages to show how the 19th century gold standard transformed the way states relate to finance. More specifically, Knafo demonstrates that the institutions of the gold standard helped to put in place instruments of modern monetary policy that are usually associated with central banking and argues that the gold standard was a prelude to Keynesian policies rather than its antithesis. The author reveals that these state interventions played a vital role in the rise of modern financial techniques which emerged in the late 18th and 19th century and served as the foundation for contemporary financial systems. This book will be of strong interest to students and scholars of international political economy, economic history and historical sociology. It will appeal to those interested in monetary and financial history, the modern state, liberal governance, and varieties of capitalism.